Since March 2018, Lajee Center’s community health workers (CHW) have been visiting 60 people with limited mobility throughout Aida and Azzeh refugee camps. The visits are pilot efforts of a new 1for3-organized initiative to monitor common chronic health issues such as hypertension and diabetes. The health workers conducting the visits are participants in a multi-part health accompaniment training program that develops local health professionals. They receive instruction in psycho-social support and preventative health issues by clinicians from the US and Palestine. Through home visits, the health workers get to know the patients, monitor their progress, and advise on wellness planning. This year, we are hiring four more Community Health Workers so that we can increase the number of patients with diabetes and hypertension we serve. 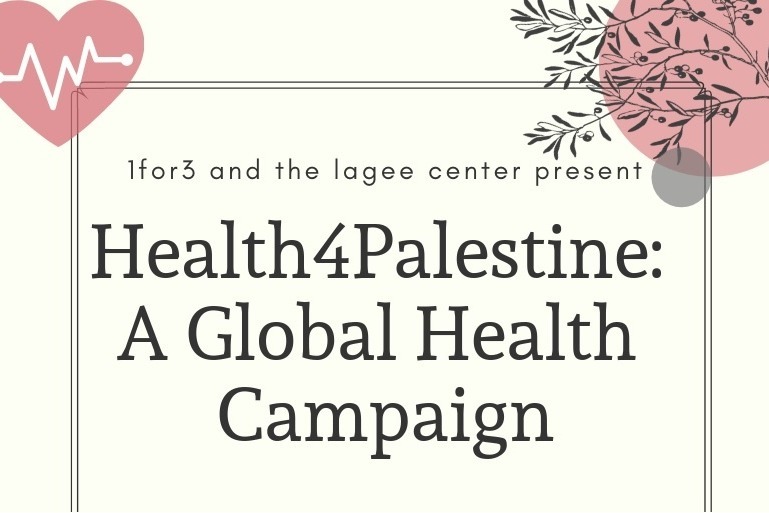 The first step in managing the impact of diabetes and hypertension, which are drivers of major causes of morbidity and mortality in the occupied West Bank, is to perform a case-finding campaign. In the campaign, which we are launching this year, we expect to diagnose every case in the two partner camps in 2019, which will include an estimated 700 patients based on local epidemiology. We predict that approximately half of these patients will benefit from our CHW program, while the other half will be able to manage their disease with existing services in the Bethlehem area. Please visit Mondoweiss ( https://mondoweiss.net/2018/12/doctors-dispatch-refugee/) for a report by Dr. David Scales, one of our team members in the U.S about our health project. 1. Up to 70 additional Palestinians living in the refugee camps can be incorporated in the next year if we raise $9,600 dollars. 2. As a result of supporting an additional 70 Palestinians, 2 additional employment opportunities would be available for Palestinians to be trained as community health workers. 3. The support and increased success of this program can provide additional support mechanisms to demand increased healthcare infrastructure and funding. Healthcare is a Human Right. Palestinians deserve Human Rights. Donations are tax-deductible and 1for3 can send tax-deductible letters to donors.